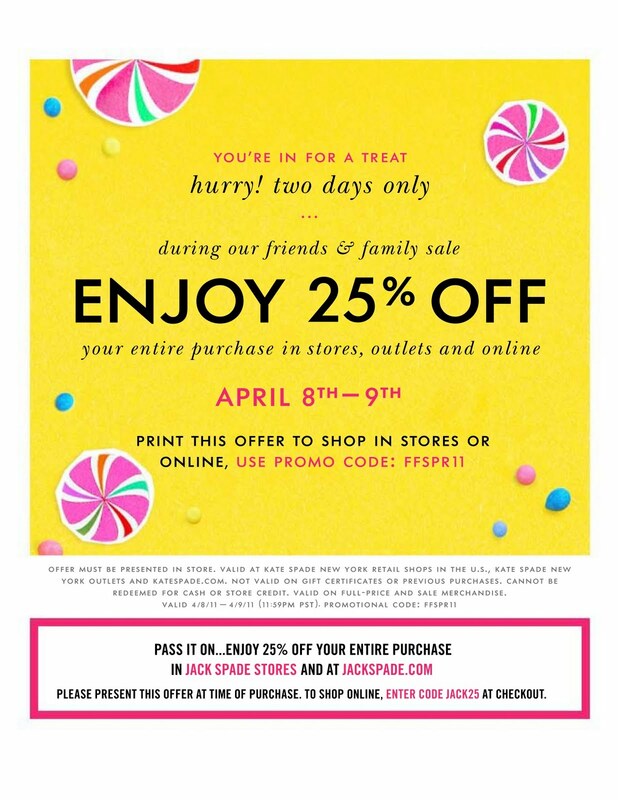 Dollar Saving Diva: Friends and Family Sales Galore! So in case you haven't noticed, Friends & Family season has started! 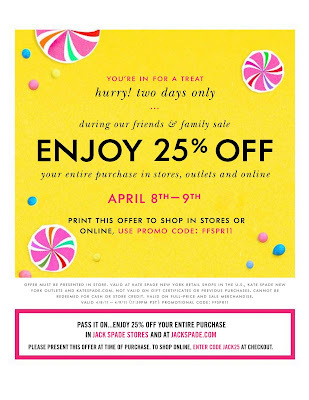 The Kate Spade F&F sale starts tomorrow (but it's only 2 days), and you can get 25% off your entire purchase in stores, outlets, and online. I'm really liking some of Kate Spade's summer bags this season, so I may seize this opportunity. The next F&F sale that I'm excited about is the Shoe Box sale, which starts today and runs through Sunday. The sale is for 20% off spirng/summer 2011 shoes and handbags. The Shoe Box is a great store that carries a wide selection of designer shoes and handbags. If you aren't familiar with the store, check out their site to get a better idea of the brands they carry. The designers range from lower end lines, like Steve Madden, to higher end shoes like Giuseppe Zanotti. Some of the handbag designers they carry are Lauren Merkin, Kooba, Botkier, and Rebecca Minkoff. Definitely something for everyone. There are a few stores on Long Island, one in Murray Hill, and 2 in the Upper East Side. Check here for addresses and store info. Ann Taylor and the Loft are also hosting a F&F sale, which runs until April 10, and is for 30% off. I don't think I need to explain further. (BTW, does anyone else think that it's odd that Katie Holmes is the new face for Ann Taylor, because I certainly do!). Even Urban Decay cosmetics is getting in on the F&F action! Through April 19, if you use the code 1SFNF at checkout, you will receive 30% off your purchase. This would be a good excuse to try their miracle primer that I had raved about! And don't worry-- Friends & Family season is not over. Saks' F&F sale will be coming soon. And of course, I'll be here to alert you when it starts!